A well known SCP-296-FR-V instance, photographed during the Viking 1 probe flyby above a rock affected by the phenomenon. Outside SCP-296-FR episodes, this area of the red planet is entirely non-anomalous. Special Containment Procedures: Upon discovery of the phenomenon by NASA in 1976, multiple dissimulation agreements were reached with national and international space agencies. Images of the surface of Mars under the influence of SCP-296-FR must at no time be revealed to the public and are to be transferred in priority to the researchers at Site-Lamedh. Any human mission to Mars planned by an organisation other than the Foundation and its allies is to be sabotaged through all available means. For several years, growing suspicion of the existence of SCP-296-FR has been noticed among anti-NASA conspirationists and groups related to the Flat-Earth Society, which required in several occasions the disbanding of the group in question and the amnesiation of members. In order to stop these leaks and prevent them in the future, disinformation agreements were reached with known civilian scientists such as C███ S████ and S██████ H██████. As of today, SCP-296-FR has not influenced non-anomalous searches for life on Mars; this situation should be maintained as long as possible. Description: SCP-296-FR is a series of events occurring once per day on the planet Mars, a few minutes prior to solar dusk. Its distance to Earth makes it almost undetectable from the Earth, but not from various technological objects in this area of the solar system, which is the main obstacle to its dissimulation. 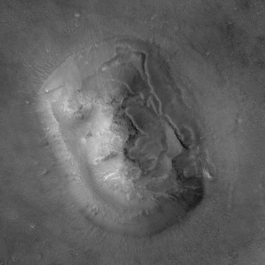 For approximately six minutes, portions of the martian terrain autonomously locomote on the surface of the planet to form shapes which remind of human and animal faces (referred to as SCP-296-FR-V). This also results in the formation, where orifices would be located on an actual face, of caves and tunnels of unknown length (see exploration logs). Instances of SCP-296-FR typically span across fifty meters (50m) to twenty-five kilometers (25km) and depict male faces in 55% of cases, female faces in 35% of cases, and non-human animals in other cases (Middle-Eastern dog and cat breeds, lions, several species of monkeys, and species contained by the Foundation such as [REDACTED]). Human faces do not typically bear any distinctive traits except in rare cases tattoos similar to those worn by inhabitants of SCP-2688, otherwise fairly common in Ancient Arabia. The anomalous terrain shifts do not appear to affect the ground or the underground, as opposed to what geological simulations predict for the displacement of such landmasses at such speeds; the bumps and holes slide on the surface without cracking the ground, which appears to behave like a highly viscous fluid when affected by an instance. At the end of SCP-296-FR, all objects displaced by the movement of an instance are transported back to their original location through unknown means, and SCP-296-FR instances vanish. All displaced terrain features then return to their usual location, and no detectable evidence of SCP-296-FR remains. Terrain shifts sometimes induce an impression of facial movement, up to and including speech (though no sound is produced). It is not unusual for instances to make "eye" contact with martian probes and rovers, for unknown reasons. 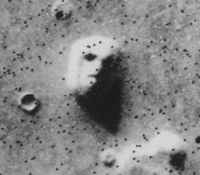 On July 25th 1976, the Viking 1 space probe flew over the Cydonia Mensae region during SCP-296-FR, while a local rock was affected by an instance of SCP-296-FR-V. The probe captured 18 images, all with excellent resolution and with an unusually low data loss rate, clearly showing the female face in several poses including smiling and winking. James C. Fletcher, head of NASA at the time, immediately contacted the Foundation, which lead to the agreement that no photographs of this region of the red planet should be published until the phenomenon is better understood. Despite this agreement, several photographs were found in possession of famous individuals in the United States the next day. The Foundation administration deemed Fletcher responsible for this breach, leading to him forcibly leaving NASA in 1977, though this has yet to be confirmed by investigation. The Fletcher affair eventually ends in 1991 with his assassination by an anomaly-hunting organisation. Officially, Fletcher died of lung cancer. The immediate panic crisis caused by the diffusion of the photographs was avoided by a minor Censor and Disinformation protocol; the eleven clearest pictures were erased from public knowledge, and replaced by altered, low-quality copies, which allow easy explanation of any resemblance with human faces through pareidolia1. The original eleven images are available at the archives division of Site-Lamedh or upon request to Dr. Gris. Addendum 1: SCP-296-FR-O is a spherical celestial body which can only be observed from the surface of Mars during SCP-296-FR. The distance from Mars to SCP-296-FR-O was estimated through parallax to a hundred thousand kilometers (100 000 km), for a mean diameter of a thousand kilometers (1000 km). An object of such size would normally have a significant gravitational influence on Mars and its satellites, undetected to this day. When SCP-296-FR-O is visible, instances of SCP-296-FR-V continuously stare at it, articulating an array of sounds yet to be deciphered (see exploration log). The aim of the mission is thorough exploration of the cavities formed near the ears, nostrils, mouths and pupils of SCP-296-FR-V instances using the Oddity Foundation Rover, optimised for rough terrain exploration. The mission can only be carried out during the short span covered by SCP-296-FR appearances, and must therefore be conducted using a real-time-controlled rover, which would normally be impossible due to the travel time of electromagnetic waves from Earth to Mars. In order to avoid this issue, Site-Lamedh was equipped with a transmission device which uses temporal sinks to reduce the radio wave travel time. No modifications of the rover itself were necessary. Transcripts of the exploration missions are included below. Technical details are available upon request to Dr. Gris, or to the Site-Lamedh secretariat. Summary: An SCP-296-FR-V instance forms near the rover. It is moved towards the face in order to reach the closest orifice. A minute and a half later, and despite the agitation caused by facial movement, the rover's video stream shows a wide cavity identified as the left nostril. The two nostrils apparently lead to the same spot; a gently-sloping tunnel is visible in the background. The rover is cautiously directed towards the inside of the cavity. For the next minute, the robot is seen making progress in a straight line inside the tunnel. The surrounding stone is identical to that outside the cave, save for small scratches scattered across the walls and roof. A sample of the surrounding gasses is taken, then the rover continues. As the robot dives in the darkness, scratches become more abundant, now clustered in small groups. On the ground, the rocks seem to be scattered in a way too organised for it to be due to the clustering illusion2 (even though this illusion will probably be used as an explanation in case of classified material leak). After another minute of travel, the rover stops to take two high quality pictures, then continues. It was observed afterwards that between the two pictures, the rock clusters on the grounds had moved. Two minutes later, the robot stops again. The tunnel is now wider, and slightly curved to the right. The motion of the rock clusters is perceptible, and seems to impair the rover. It is now clear that the scratches form symbols, some of which resemble letters of Earthling alphabets. The reason for the halt is the discovery, through the video stream, of a metal artifact. The robot is moved closer to the object; it takes several pictures of the now clearly visible gearwheel then firmly grips it using its motile claw. At this moment, the rover microphones sense the noisy echo of a humanoid voice. The robot resumes its journey towards the depths of the tunnel. The human voice is more and more audible, and the carvings on the walls are identified as a proto-Sinaitic, earthling type alphabet. The video stream begins to blur and flicker, announcing the end of SCP-296-FR. The robot keeps making progress inside the cave; the carvings are clearly readable, the rock clusters on the ground rush towards the end of the cave. The voice is louder and louder. The stream is drowned in a mass of static, gearwheels are still visible. The rover approaches the source of the voice, the words can almost be told apart. At this moment, the signal is lost. Ten seconds later, the stream resumes, once again clear and noiseless. The robot is sitting before the dune which served as the face's nose, and its claw, still clenched, no longer contains the recovered artifact. The samples taken inside the cave are indeed sealed, but contain no gasses. In this whole exploration, the rover managed to capture with sufficient quality a single sequence of sounds, unidentified but greatly resembling an expression of Semitic origin used to refer to Earth inhabitants, as opposed to potential foreigners. It is now evident that caves born to the Martian dusk shelter many more anomalies than what we had the chance to observe. Anomalies currently held out of our reach by the weak speed of Oddity, along with the short-lasting nature of the phenomenon. I therefore file a request to use a more fitted device to our situation, the Singularity rover, of which the extraordinary speed is undebatable. I am, of course, aware of the disastrous consequences that potential damage to the device would have on Project Aryabhata; I can nevertheless assure you that this risk is way negligible when compared to the major discoveries that await us in those caves. I thoroughly considered your request, and your respectable points convinced me to allow the use of Singularity for the exploration of SCP-296-FR-V.
You must remember however that the rover's anti-gravity properties must be utilised with care, given all past incidents due to Project Aryabhata. But it does not mean that I forbid its use for that matter. Summary: A large instance of SCP-296-FR-V forms next to the rover. The orifice chosen for exploration is the mouth cavity. The stream shows a wide ditch, without any teeth or tongue, with a gently-sloping tunnel visible in the background. The robot is carefully directed towards the inside of the ditch. From this moment and for half of the journey, progression is similar to the previous mission, save for the fact that the tunnels drifts to the left rather than the right. As the rover keeps diving inside the darkness and a humanoid voice becomes audible, Dr. Gris demands the use of the rover's anti-gravity properties to drive it onto the walls of the cave rather than the ground, thus preventing it from being impaired by the moving rocks. Other human artifacts are discovered, including not only gearwheels but also metallic rods, perforated components and other possibly mechanical, obviously man-made objects. [For/In order to] [INAUDIBLE], blood [root of the verb to prove, to demonstrate] Earthling. Home. 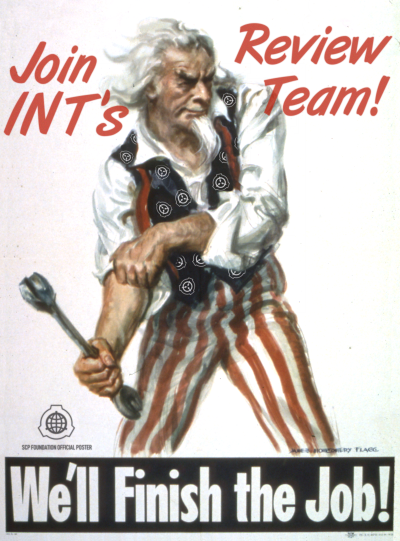 [INAUDIBLE] our [Lit. members of a herd/peers] still on Alilahat. Home. This speech continues until the end of the phenomenon and the return of the rover to the surface. Upon translation, it was first unclear why the monologue was interrupted, and what Alilahat meant, despite being clearly audible. Later, logs of probes orbiting Mars revealed that the interruption matched the appearance of SCP-296-FR-O above the exploration zone. The instance then proceeded to emit the same sounds as other instances of SCP-296-FR-V, now deciphered. It is theorized that the word Alilahat refers to SCP-296-FR-O. Our mission progresses rapidly. We file discovery after discovery, and the speed of Singularity combined to its technical advantages allowed us to push the limits of the explorable. But we must go further. The presence of linguists during the exploration itself, which I thought was overkill, is now necessary if we were to encounter another miniature instance of SCP-296-FR-V (which we call SCP-296-FR-W for convenience). I also asked the Site technical team to activate Singularity's speakers (knowing SCP-296-FR-W is able to speak, it would make sense that it is also able to hear). SCP-296-FR-O ("Alilahat") photographed by the Kervran 1 Foundation probe. 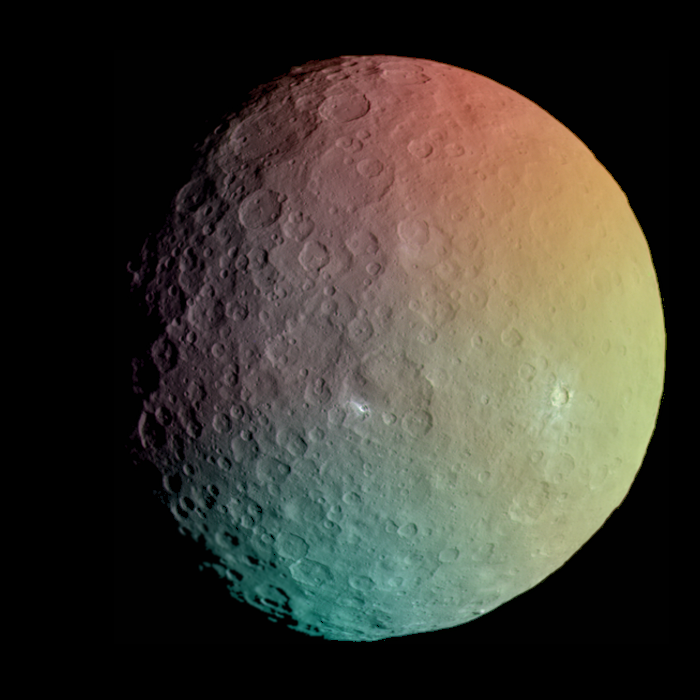 This is a true-color image. Summary: A fairly small instance of SCP-296-FR-V forms a short distance away from the rover. The closest orifice is the left ear. From this moment, the rover progresses as in previous explorations. After three minutes of travel, the robot enters the range of a SCP-296-FR-W voice, as predicted by Dr. Gris. The rover is oriented in order to maximize the audio signal quality. The entity emits the same words as previously. Below is a transcription of interactions between linguists and the instance via the rover, in ancient Arabic. SCP-296-FR-W: Stranger, you are standing before the Great Passage. To traverse it, you shall prove that you bear Earthling blood. Linguists: What is the Great Passage? SCP-296-FR-W: You are standing before the Great Passage to Alilahat. SCP-296-FR-W: You are standing before the Great Passage to Alilahat, the green, the blue, [INAUDIBLE], the fertile. Linguists: Are there Earthlings in Alilahat? SCP-296-FR-W: You are standing before the Great Passage. To traverse it, you shall prove that you bear Earthling blood. Linguists: How shall we do it? The rocks on the ground gather into a small pile between the rover and the instance. SCP-296-FR-W: Only the superior mind of an Earthling may [Lit. untie] an enigma. The pile splits into eight smaller groups of rocks, aligned in front of the rover. They are equidistant save for two ones with more room in between. The researchers identify the situation as a mathematical riddle, where they must guess the number of rocks in the missing pile based on the number of rocks in the other piles. The riddle is quickly solved, and the solution announced to the instance. The instance immediately vanishes, before SCP-296-FR even ends. Before the rover, the stone wall gains transparency, and eventually disappears, revealing a continuous tunnel. The rover is directed towards the end of the tunnel, despite the first signs of the end of SCP-296-FR. The robot cruises at full speed. The artifacts in the tunnel do not resemble gearwheels anymore, but more complex objects (swords, shields, pieces of armours and airtight suits; the stream is too noisy to describe them precisely). As the rover approaches the end of the cave, the rocks are less and less motile, and the carvings, better lit up by the closer light source, are easily deciphered. The rover now progresses in sandy gravel. The strength of the signal drops, and it is uncertain whether the rover will manage to reach the end of the tunnel before SCP-296-FR ends. A dozen meters away from the exit of the cave, the signal is lost; SCP-296-FR is over, the tunnel has vanished. Ten seconds later, the stream resumes. The rover apparently was able to exit the tunnel before it disappeared. It is located in a completely different environment, with a sandy ground and a clear sky. In the distance, a stone structure is visible, and, carved into the stone, a human face. These are the last images sent by the Singularity device; after a few seconds, the signal is permanently lost. In spite of all searches carried out on Mars, the rover is yet to be found. Addendum 3: SCP-296-FR-G is a straight-line cave located near the village of ████████, in the Rub al-Khali desert of Northern Yemen, ninety three meters in length (93m) and primarily made of limestone. SCP-296-FR-G is accessible from a single entrance, and is located approximately a hundred and five meters (105m) away from stone ruins, probably an ancient temple. A human face has been carved on one of the intact walls; the carving couldn't be dated. On 09/12/20██, the Singularity Foundation rover, lost three days earlier, was found near the cave, deactivated. It is theorized that the rover, designed to withstand low Martian temperatures, shut down due to ambient heat outside the cavity. Thorough examination of the cave revealed no instance of SCP-296-FR-W at any point of the day, neither did it reveal a passage to Mars. However, numerous ancient artifacts of Semitic type were recovered, as well as metallic components of unknown origin, and it was later observed that the surrounding landscape, when viewed from above, formed a greatly eroded human face where the entrance of SCP-296-FR-G would be located near one of the eyes. A search for other potential inactive instances of SCP-296-FR-V is underway in the Arabian Peninsula. Warning: Document restricted to clearance level 3 and higher. I'm afraid dissimulating only SCP-296-FR-V instances does not suffice in containing SCP-296-FR, due to numerous references to it on this very Earth. Some archeological sites of Southern Arabia mention the existence of a war on Mars, opposing an alliance of Middle-Eastern people groups (several times referred to as "Alilahis"), and a mysterious people group that was already there, about which we detain no further information. A major difference between what these depictions describe and what we observe is that passages between the Earth and Mars, nowadays short-lasting and apparently one-way, are described as permanent and two-way. Another important point, what was also found on those sites is the name Alilahat; not to refer to SCP-296-FR-O, apparently unknown to Alilahis, but to the Earth. Knowing SCP-296-FR-O is visually similar to the latter, it would explain why instances of SCP-296-FR-V refer to it as their home and call it "Alilahat". Who they fought against remains a mystery. Maybe it was humans. What is certain, is that they had sufficient technology to build a mechanism the size an asteroid (see studies on Deimos in 2013). A primitive, low-power example of a Scranton reality anchor, according to the latest tests, but designed to work backwards; that is, to destabilize reality rather than to stabilize it. Such a weapon would have been of great help against invaders. Why kill a man when you can simply wipe him from reality ? And yet we found broken pieces of this machine in the Martian tunnels. Therefore, an incident must have happened. An incident that occurred before the passages between Mars and the Earth could be completely erased, and they became… what they are now: ghostly tunnels, filled with the weapons of those who were inside, and guarded by what the machine was willing to spare of them, instances of SCP-296-FR-V. There is evidence for this theory: notably, the animals usually utilised by Southern Arabian armies at that time, which still appear as instances of SCP-296-FR-V. These discoveries brought more questions than they solved. If the opponents of the Alilahis had more advanced technology, why didn't they invade the Earth ? Did they effectively do it and we just haven't found out yet ? Pursuing research is primordial in understanding this phenomenon. Searching more ancient Arabian sites, carrying out more explorations. Maybe even a flight to SCP-296-FR-O, which I will specify in the next document. A new aspect of human history is waiting for its discovery. 1. Natural tendency of the human brain to spot familiar shapes where there are none (such as seeing shapes in clouds). 2. Natural tendency of the human brain to see clusters in an array of objects even if said objects are randomly distributed.